Energy is our greatest natural resource, but we are not taught how to understand, manage, or protect it. When we do not manage our energy, we risk having it compromised at any time. If we could measure it, the cost of routine energy loss would no doubt be staggering – it lowers our productivity at work, disrupts our thoughts and emotions, and affects our health. You were alert and happy, but suddenly you feel tired, scattered, frustrated, angry, sad or fearful. You lose the ability to focus your thoughts – your vision may become blurry. You feel tightness in your shoulders, neck, stomach, throat or discomfort anyplace in the body. You start your day full of energy, but whatever you do next brings you down. What is it? You talk to a person at a regular time and during or after that, you feel drained or your mood shifts. A routine activity (include internet use), meeting, television program, publication you read, or place you often go, causes symptoms. If the activity or interaction is not required, you can stop doing it, or see if doing it at a different time of day might help. Activities or interactions that are required for your job or other reasons, can be managed, using techniques to support and protect your energy. Stay tuned for more posts on this critical topic and find out more by reading my book, Human Renaissance. 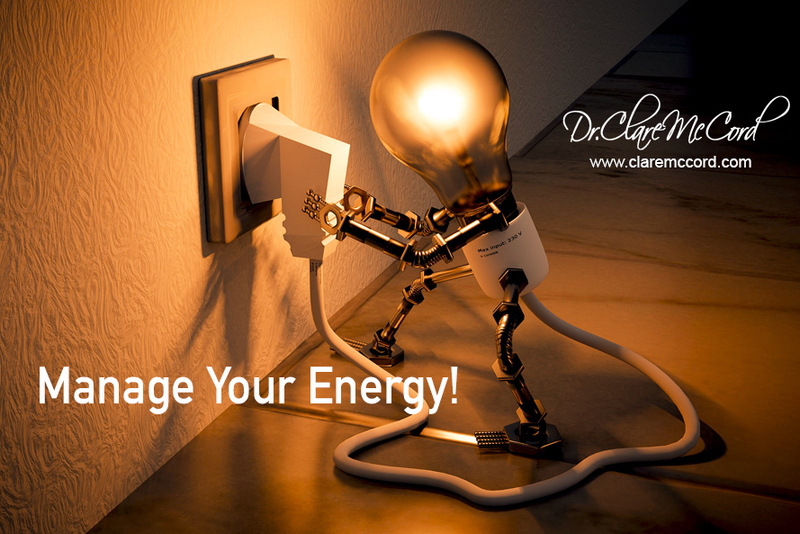 Please reach out if I can be of service to help you optimize your energy resources.